Spoken language is considered to be the most important tool of communication between people. However, there are many different forms of communication, other than spoken language- sign language, music, body language, dance, oral and written language. The materials that are used in a Montessori environment, other than spoken language, are Nomenclature Objects- real objects or replicas of objects; Objects with Cards- objects that have cards that match exactly or objects that have similar cards; and Nomenclature Cards- just cards with no objects. “Music can touch us in a way that nothing else can. 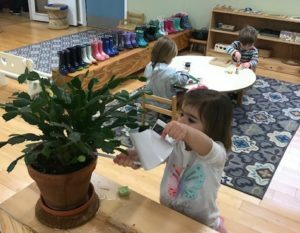 No better gift can we give to the children than to open this door with them.” Maria Montessori Hearing and making music is a potential in all human beings. We give the same amount of care to the music environment that we do the spoken language. Music is a tool of self expression; it is another way of communicating. 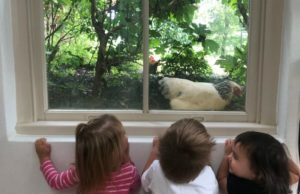 In the Montessori environment, we sing songs that have short verses and a chorus, songs that can be elaborated, songs about animals, counting songs, and songs with hand movements. The most important thing is that we pass along the love of music and song. Concepts of art and music are evident in every culture at all times. 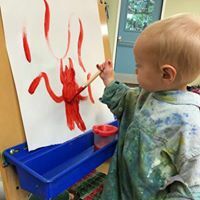 Art is looked at as a form of expression that can connote cognitive development among young children. Artistic expressions of children follow predictable patterns. It doesn’t matter what medium the child is working with, they will start out making dots, in clay, in paint, etc. Then the child starts to form circles and brings in dots to form characters of a face in the middle of the circle. Eventually the child will make more details of the face and then bring details into the un-proportioned body. This is his creation and we do not impose our ideas of art onto the child expression. 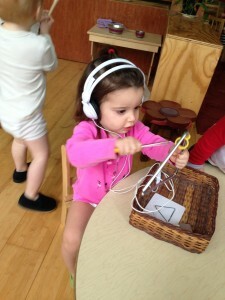 In the Montessori environment, the practical life activities are part of everything we do. These are exercises and activities that each and every one of use does on an everyday basis to take care of ourselves and our living space. They teach the basic skills of eating, dressing, and washing our bodies. The activities are created to help bridge the child from home and into the community, even though the activities may not be done in exactly the same way, they reflect the same cultural tasks.